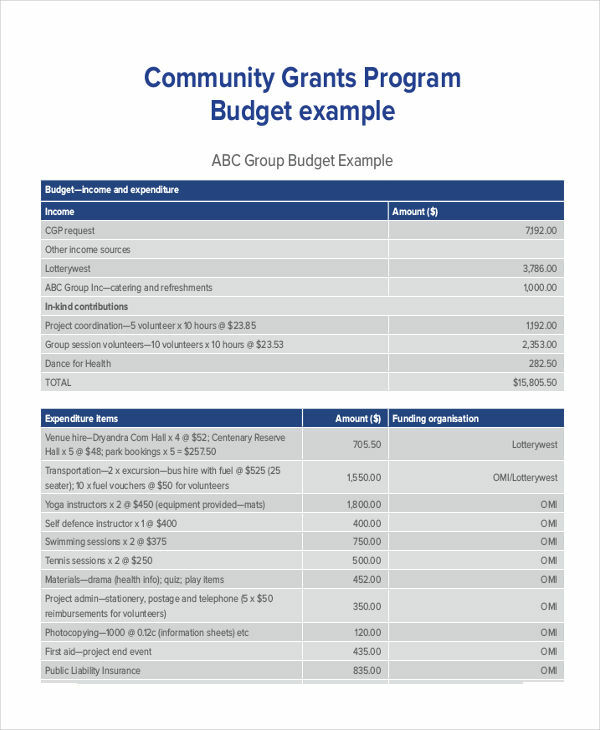 “Budget” is a term given to the estimated total of finances allocated for a specific purpose, or the estimated value of costs, income, and expenses intended for a specific time frame. In other words, a financial plan or financial budget expressed in figures. 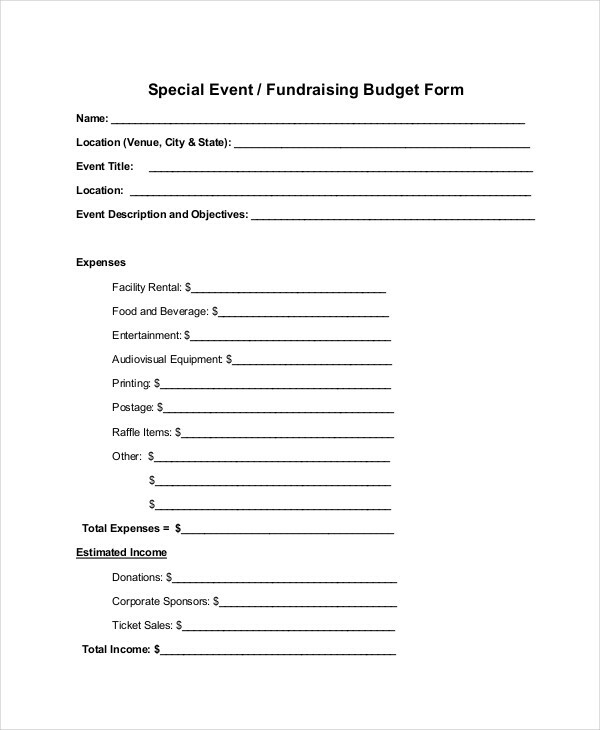 An event budget is the estimated amount of money intended for a particular event. Event budgets may also be considered as the plan which forecasts the expense reports to be incurred during the event, and their costs. 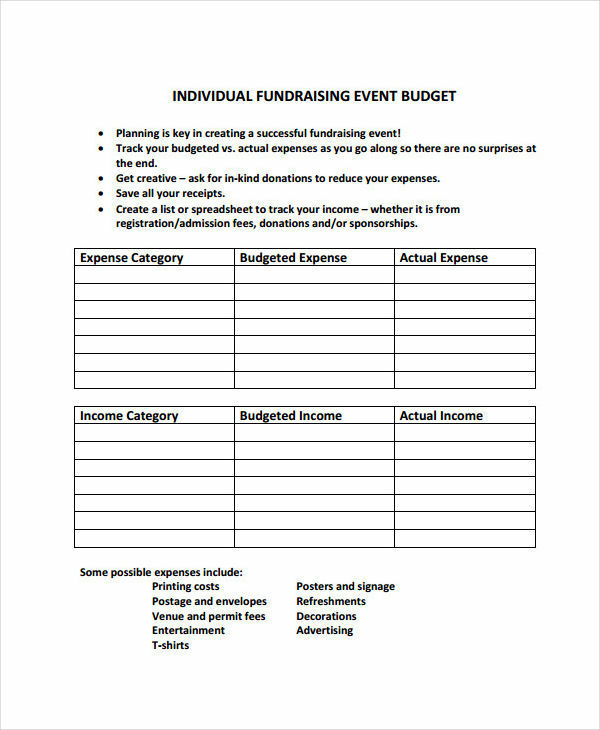 Budgeting an event means having a plan, a financial plan to be exact. 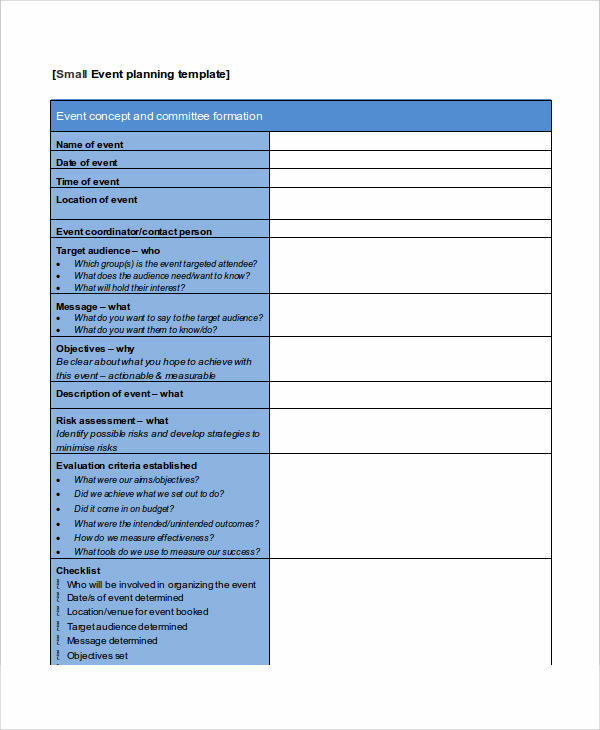 Having a plan example means you have carefully considered all the factors necessary to make your event a successful one. Primarily, a budget is set to determine the scope of your finances. An event of a bigger scale will have a bigger financial scope. 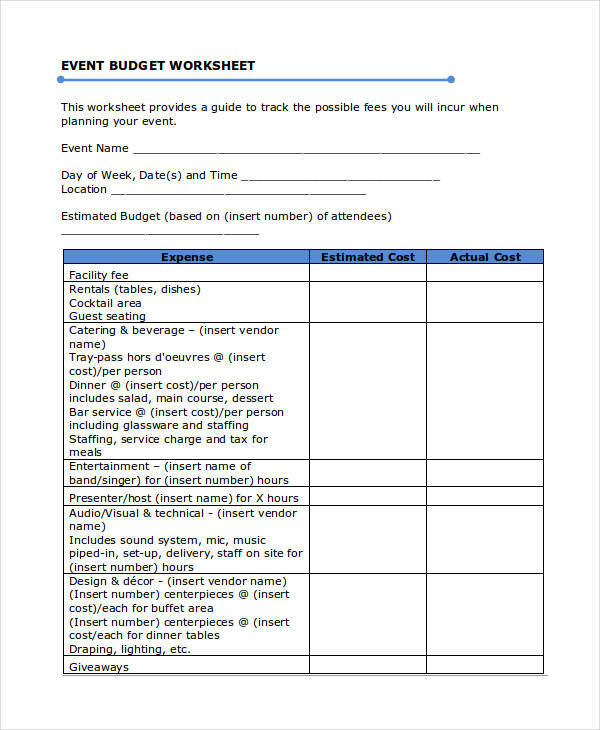 By having an event budget, you’ll be able to carefully allot the right amount of money. Staying within your set budget will help you make the right decision for your expenditures, and of course, will help you avoid a loss of finances. 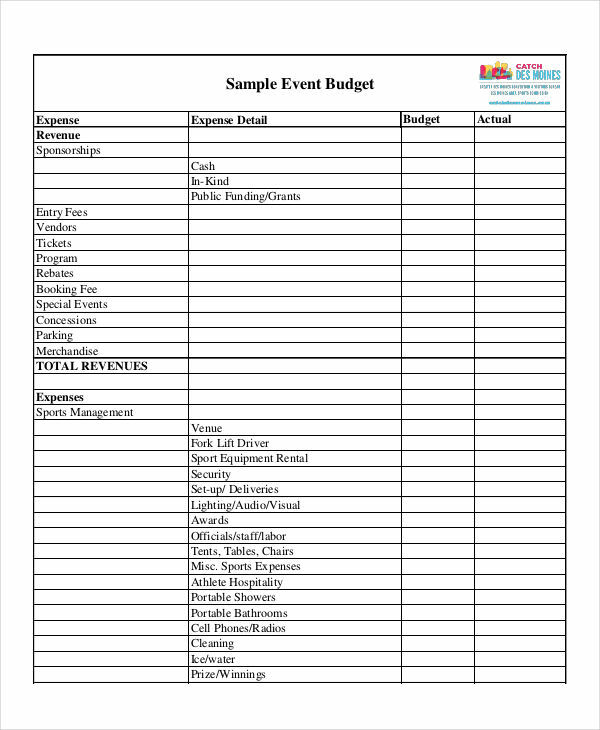 In planning budget for a event, aside from considering your budget, you also need to consider all the factors which may affect your event in any way. You need to foresee the possible things which may happen or go wrong during the event. 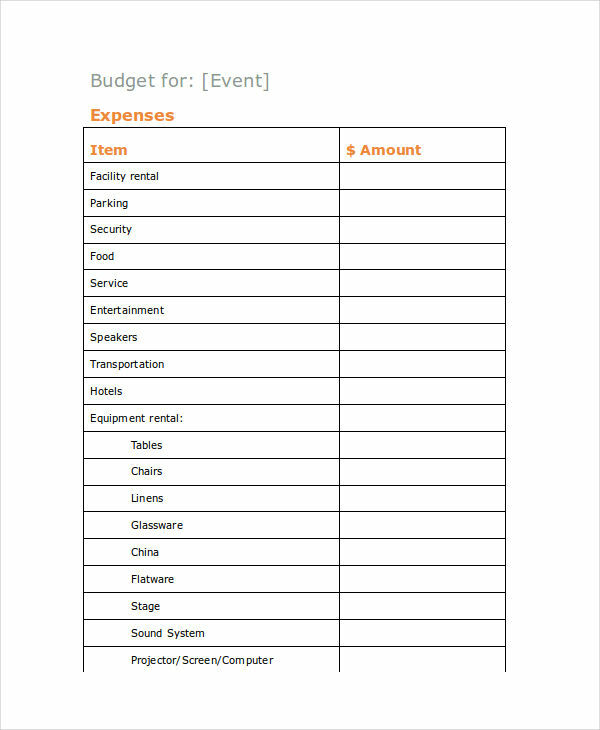 Determine all the things you need for the event, and determine how much you need to spend for everything. Research on the possible things to spend on, and you need to search for various alternative options. 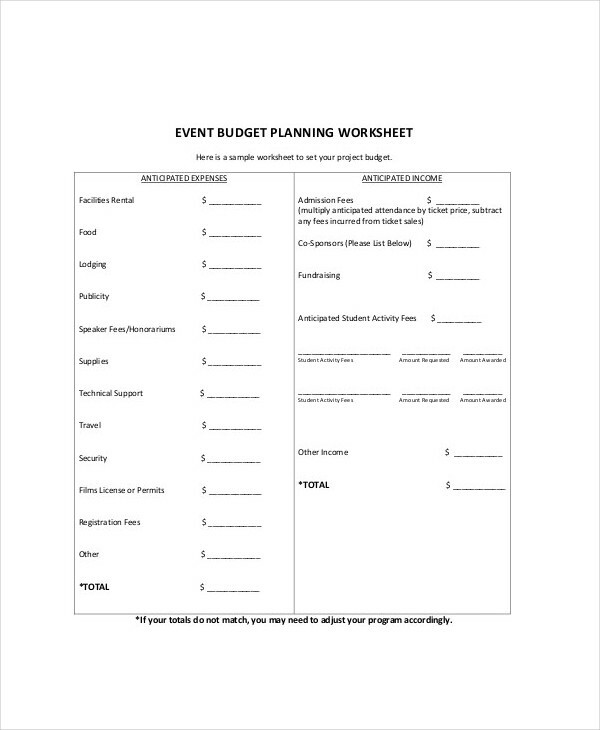 Having an event budget will also help you avoid unforeseen events or manage them when they happen. Plan ahead of time. Take your time in creating your plan. Planning requires a lot of thinking so it is best if you do not hurry to avoid missing something. Also, you need to have enough time in case you want to change something or add something in your plan. Have a purpose. Why are you having an event? 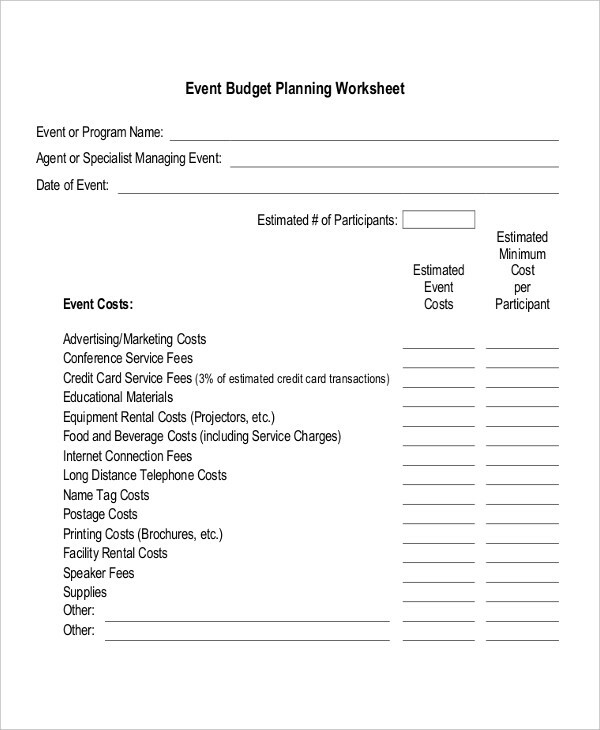 Why do you want to plan an event budget? Have a backup plan. Unforeseen incidents have the ability to ruin your event, one way or another. So have a back up plan in case the original plan fails. Determine your target guests. The number of guests you invite will determine how big the event will be. Of course, you need to satisfy your guests, and that is another thing to spend money on. Research costs. This includes materials, equipment, food, staff, giveaways, and everything needed for the event. Research the prices of each product/services in different brands, and compare. If possible, search for cheaper prices without compromising quality. Consider your budget. Deficit or loss of any kind will hurt your finances, so consider what you can afford and how you can afford each one. Revise plan as needed. Go over each item and check if you need to add or remove something. 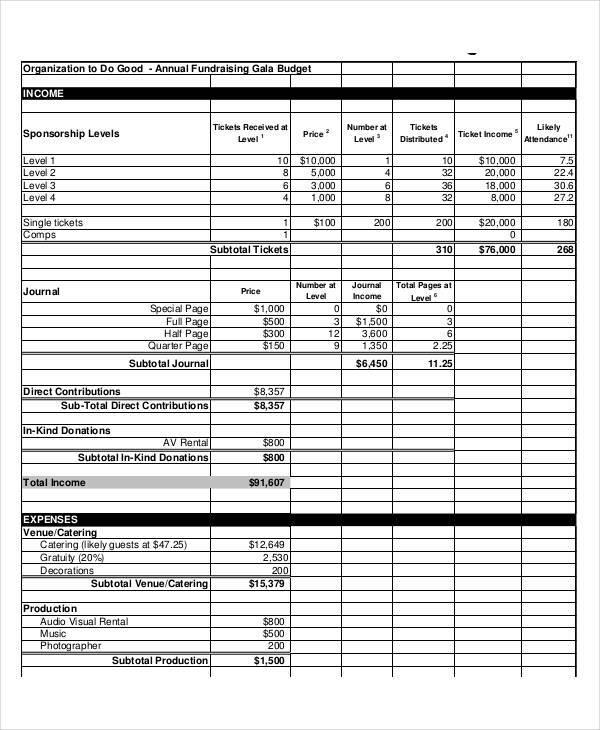 You need to go over your plan to check for possible errors (especially in calculating the budget). 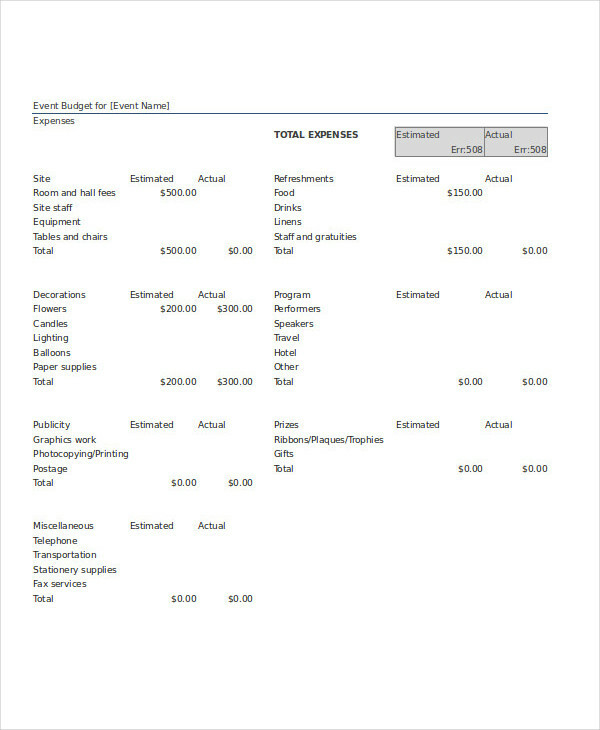 You might want to familiarize yourself with some event budget examples beforehand. Track your budget frequently. Constantly forecast your budget and see if your it is still on the right track. This will also ensure you still have enough for the things you still have to spend money on. Do not overspend. There are time when we get overexcited that we forget about having a limited budget. Spend on the most important things first, and do not spend on things your event does not need. Prepare for sudden changes. Prices may suddenly spike up, or other things may suddenly require you to spend more, so it’s always best to prepare for the worst. Have an emergency budget. 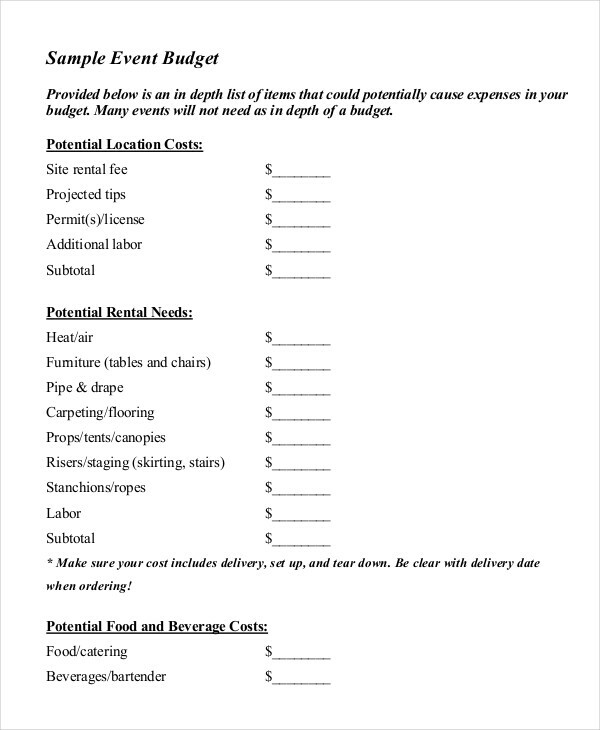 Leave a separate budget to cover up for emergencies or worst case scenarios. Learn to compromise. Like I said, some things won’t go as you planned. So you must learn to sacrifice things or settle for alternatives.